On this day in history, March 31, 1779, Eleanor Parke Custis Lewis is born. Known as Nelly, she is the granddaughter of Martha Washington and step-granddaughter of George Washington. 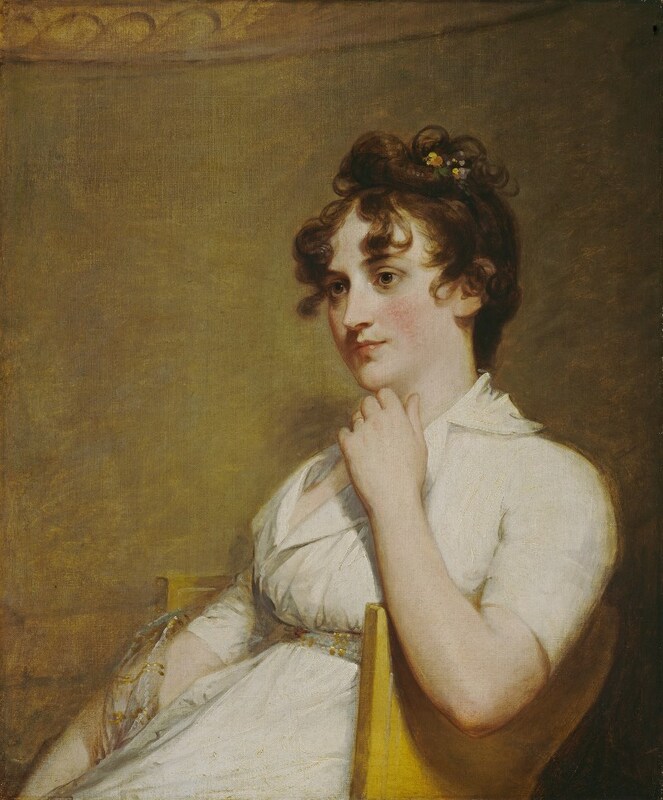 Nelly was the daughter of John Parke Custis, Martha's son from her first marriage. Martha had two children with her first husband Daniel Parke Custis, who died in 1757. John Parke Custis and his sister, Martha Parke Custis, were then raised by Martha and George Washington when they married in 1759. John was called "Jacky" and Martha was called "Patsy." Both John and Martha died young, Martha from a seizure at the age of 17. John married young at the age of 18 and had four children, the youngest of whom was Eleanor Parke Custis, born on March 31, 1779, during the midst of the Revolutionary War. John served as an aide to George Washington at the Battle of Yorktown where he contracted "camp fever" and died at the age of 28. John's wife could not raise four children by herself, so the younger two, Eleanor and her younger brother, George Washington Parke Custis, went to live with George and Martha at Mount Vernon and were raised by them for the rest of their youths. Eleanor, who was known as "Nelly" in the Washington household, was ten years old when Washington became the first President of the United States. Nelly and her brother went with the Washingtons to New York and Philadelphia and lived in the presidential mansions there. Nelly spent her teenage years as the daughter of a President and was known for entertaining the dignitaries and guests that came to visit President Washington. Nelly returned to Mount Vernon with George and Martha after the presidency. In 1799, she married Lawrence Lewis, Washington's personal secretary. Lewis was also a nephew of George Washington and became the executor of Washington's will upon the President's death only a few months after they were married. and George Washington Parke Custis during the presidency. Nelly and Lawrence received a gift of 2,000 acres next to Mount Vernon from the Washingtons upon their marriage. There they built a plantation and estate called Woodlawn Plantation, where they lived for the next 30 years. In 1830, they moved to a new estate called Audley, which Lawrence built on land he had purchased from Washington's estate in Clarke County, Virginia. Nelly continued to live here until her death in 1852. She and Lawrence had 3 children that survived to adulthood. Nelly is buried at Mount Vernon near the tombs of George and Martha Washington. Nelly was the author of a frequently referred to letter that answers the question, "Was George Washington a Christian?" Nelly was asked the question in 1833 by historian Jared Sparks. Nelly responded with a letter detailing Washington's frequent church attendance and devotional habits and stated that questioning Washington's Christianity was the equivalent of questioning his patriotism. The letter is usually viewed as quite authoritative on the subject because she lived with Washington for 20 years. 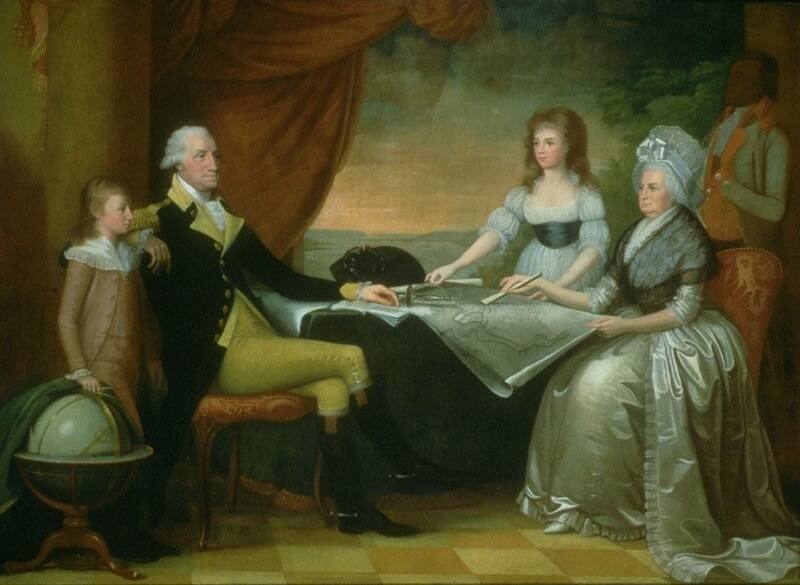 Learn more about George Washington and Martha Washington here.